If you are monitoring QSystem Monitor threshold exception messages sent to the MONTHR message queue on the QMessage Monitor console, to allow escalations to be run or forwarded to an Enterprise Management Console, then this needs to be configured based upon the particular threshold’s message data. 1 *CHAR 30 Short Description of the definition. 2 *CHAR 08 System where the threshold was generated. 3 *CHAR 50 The current value of the definition. 4 *CHAR 30 The short translation from the matched threshold record (if blank then = No translation). 5 *BIN 04 The severity from the matched threshold record. 6 *BIN 04 #The sequence number of the threshold record. 7 *BIN 04 #The collection type of the definition. 8 *CHAR 30 The collection type description. # This variable can be ignored, but may be useful for problem determination. 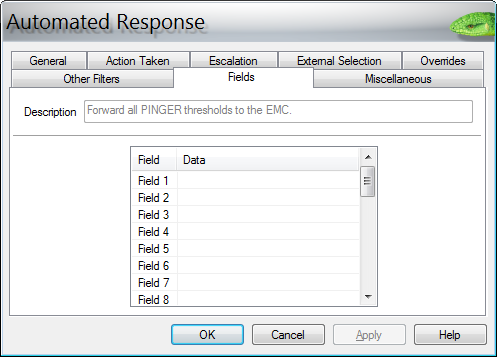 Click Attributes and scroll down to the field data. 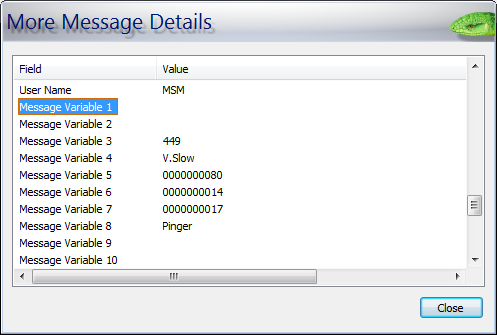 Message Variable 1 for this threshold will contain the IP address. The other fields may be of use later, but for now we will focus only on this parameter. 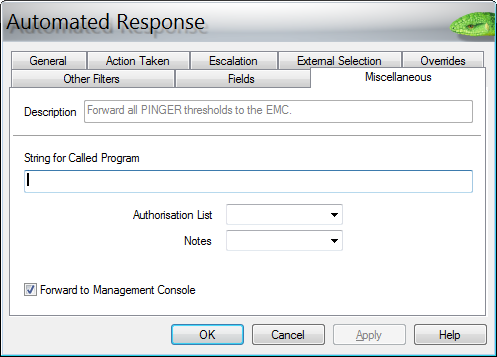 For this example there is a need to transfer certain messages onto an Enterprise Management Console. Other messages may require an escalation procedure to be created. 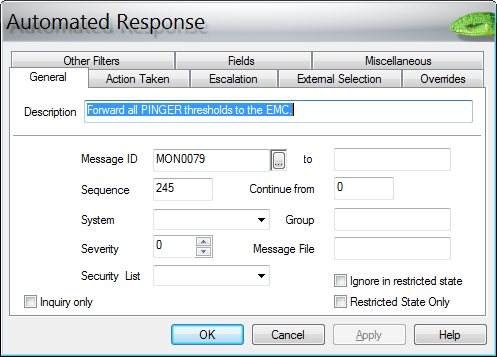 When a MON0079 message that contains the appropriate IP Address is received on the MONTHR message queue, the auto-reply processes that message and forwards it to the EMC. The other message you may want to think about for more important addresses would be the MON0279 message. 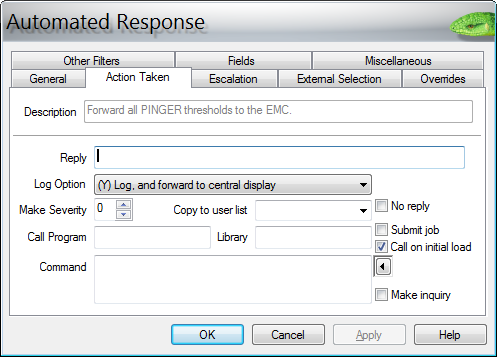 This is sent if you have the Repeat Message option selected on the QSystem Monitor threshold. 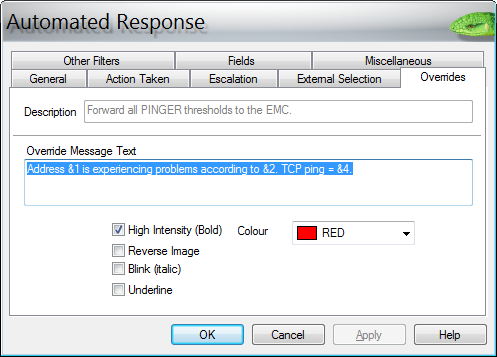 MON0179 should also be considered, as this is issued when a threshold has been reset and would inform your EMC operatives that the exception has been resolved. 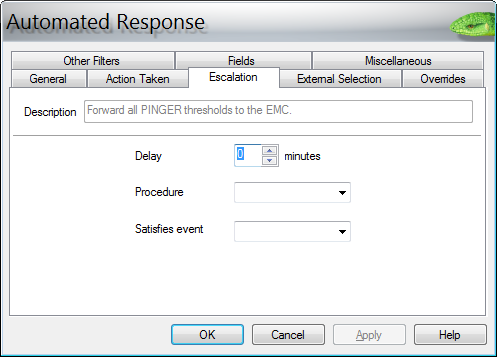 As a matter of best practice, use the Analyze function from the context menu to check that the message won't be intercepted by an earlier rule.